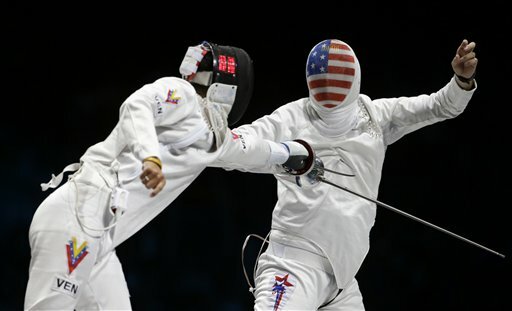 Seth Kelsey, the Air Force captain competing in his third Olympic Games, lost in overtime in the bronze medal match of men’s individual epee event. The score was 11-12, according to the London 2012 website. Kelsey lost to South Korean Jinsun Jung on Wednesday after a string of victories, including one over No. 1-seeded Nikolai Novosjolov of Estonia. In the bronze medal bout, Kelsey battled back to tie the match at 11, and then made a bold choice, according to The Gazette of Colorado Springs, Colo.
“I’ve always been disappointed in my previous Olympic performances,” Kelsey said. “Today, I beat three good guys,” Kelsey said, according to The Gazette. The Times-News of Idaho also found Kelsey to be in a good mood at the end of the day.